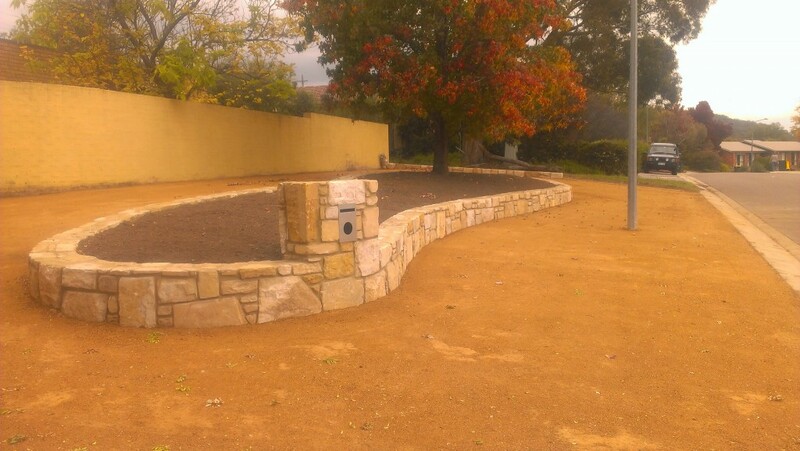 Retaining walls can play a number of important roles in the landscaping process. In some cases, they can serve as a central, eye-catching feature. In others, they can be used to transform a sloping yard into a dramatic, dynamic system of tiers. What’s more, retaining walls can be made in a range of styles and sizes, and from a variety of materials, including sleepers, concrete, blocks, rocks and bricks. Here at Dust to Lawn, we build according to your yard, needs and tastes – tell us your vision and we’ll make it a reality. Sleepers are one of the most popular options for retaining walls because they are affordable, yet highly effective. Some common types of sleepers include treated pinewood, concrete and parts from old railway tracks. For a natural look, treated pinewood is hard to beat. It’s a beautiful colour, so it blends seamlessly with surrounding trees and gardens. And treatment ensures that the wood remains strong, even after years spent outdoors, by protecting it from pests, disease and bad weather. Alternatively, you might prefer ex-railway sleepers, which are equally durable, but have a darker, more rustic look. 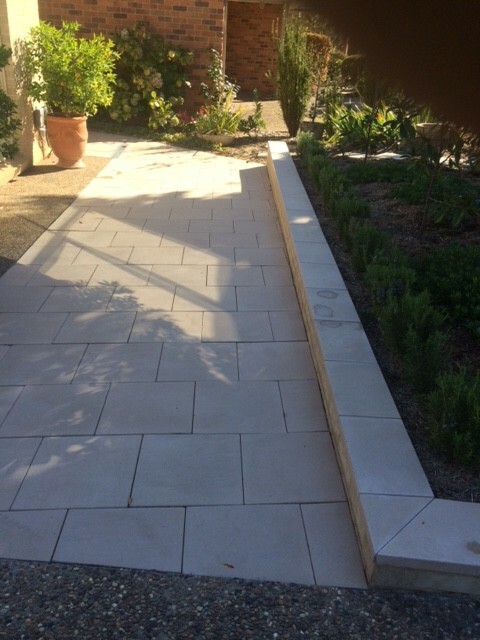 And then there are concrete sleepers, which are extraordinarily durable, easy to clean and resistant to all kinds of wear. 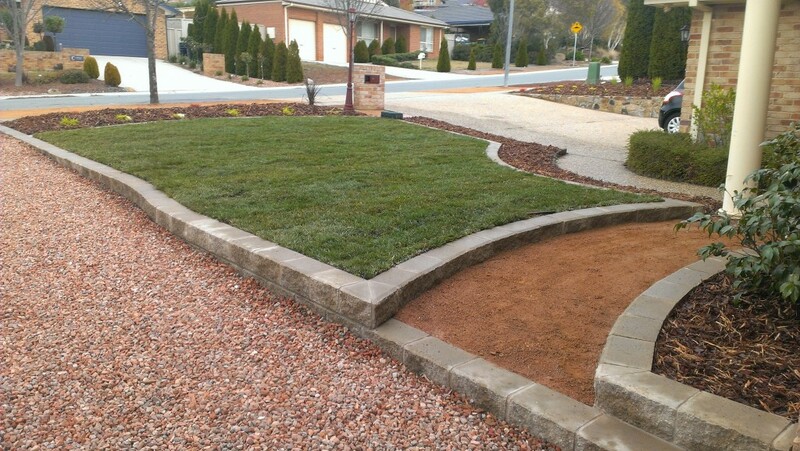 If you’re unsure which sleepers are best for your yard, our landscapers can help you decide. You can also opt for concrete, but not in sleeper form. Plain concrete retaining walls are exceptionally strong – they’ll even survive a flood! Plus, if you need to create a curb for your garden, they’re ideal. If sleepers or concrete aren’t what you have in mind, retaining walls can also be made of blocks, bricks or rocks, which are commonly known as segmental walls. While some require mortar to keep them together, others work by interlocking. Segmental walls come with many benefits, including flexibility, durability and attractiveness. You can design segmental retaining walls and rock cages to suit your particular tastes. 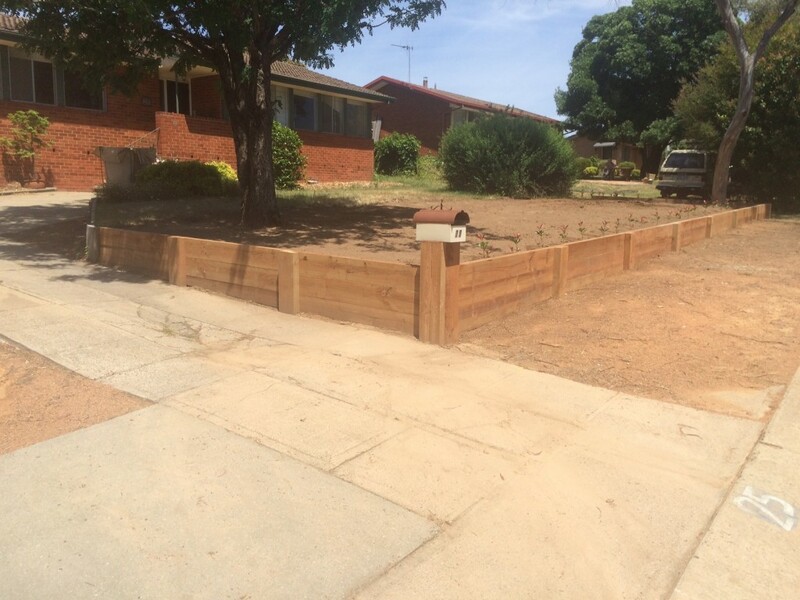 Are you wondering if retaining walls would provide the right solution for your property? Would you like to know about the specific types of retaining walls available through our company – from sleeper retaining walls to rock cages? Would you like a free quote, without any strings attached? Please get in contact at a time that’s convenient for you. The friendly, experienced and professional team here at Dust to Lawn is waiting for your call.